I saw something strange today..I saw a soul leave its human bodysuit. 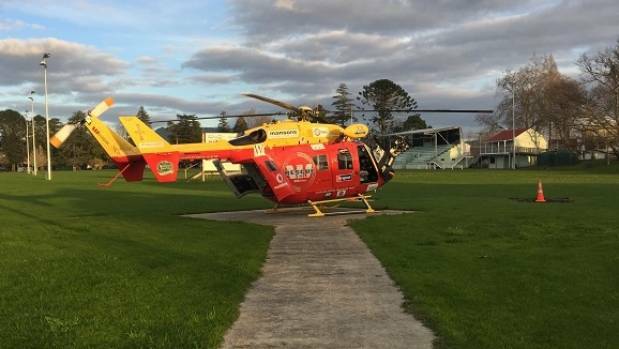 This is the Westpac rescue Helicopter on the Paeroa,Waikato,NZ helipad on the domain rugby field..
Today I journeyed to the “Heart” of the local community. Every community should have a Heart, a spiritual center point. Some communities have lost their Heart. It is a long-hot journey in the Texas sun, 13 miles round trip. A rather long walk. At several locations along the journey, the black vulture was circling overhead, looking to eat the dead, whether it be human or animal. In this day and age, despite all the positivity and how everyone says this... actually doing that is incredibly hard. 80-90% of the time? Perhaps even up to 99.9%? Seems impossible. It is a never-ending uphill battle. I will be changing the name of the current pagan space group to keep things consistent. Masks have been used by humans for over 9000 years. The oldest masks come from the hills and deserts around Jerusalem. They are a Stone Age product and are quite intriguing. The Ancient Egyptians believe the human soul has five divisions or components. They named them Ren, Ka, Ib, Ba, and Sheut. Ren is literally your name. It lives as long as you are remembered, or read about by others, or prayed to as an ancestor. Ka is the vital essence that makes the difference between the living and the dead. It animates your body keeping your corporeal existence intact.